March is my birthday month! Hip hip hooray! I love to celebrate all month long! I'm starting out with a birthday card tutorial for all of you to enjoy! When I saw the Nesting Balloons from Lifestyle Crafts and We R Memory Keepers, I knew they would make the BEST birthday cards. And I'm letting these balloons take center stage on today's card. 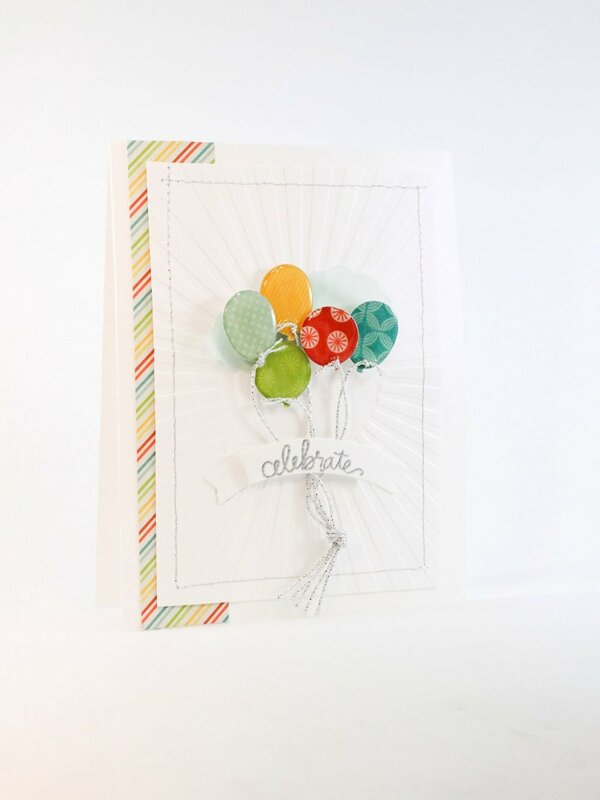 Paired with the bright colors and fun patterns of the Hip Hip Hooray paper pad, they are perfect! I finished the balloons off with not one, but TWO layers of glossy accents. To do this, add your first layer of glossy accents and let it completely dry. Then go over it again with a second layer of glossy accents. This brings the balloons to life and gives them fabulous dimension. I've included a video tutorial below, walking you through the entire creation of this card. I've also included links to all the products used in this project below. Don't forget, when shopping at shopwer.com, you can use the coupon code GLITTER to save 20% off your entire order. Thanks for stopping by today! I hope you've enjoyed today's project. I hope you have a fabulous day! Office Hours Kits Are Here!